Die Head is made of high carbon content forged alloy steel for better life and performance. Intensive cooling of the pipe with the help of numbers of spray nozzles. Axial adjustment of tank on slide rails with locking arrangement. Self cleaning type spray nozzles with wide opening for intensive cooling of the pipe. Acrylic transparent cover for easy inspection. Counter rotating conical twin screw machined on CNC "WMW" German make thread milling machines by simulation software for better performance. 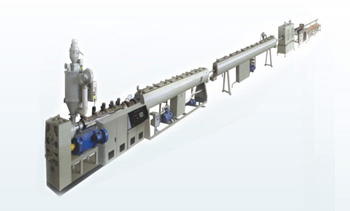 Conical Twin Screw Extruders are specially designed for high calcium loading. Compact and reliable gear box. 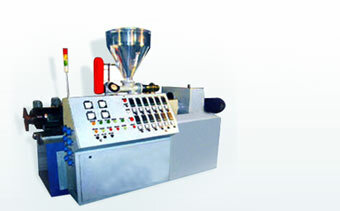 Two piece barrel construction for economical replacement can be provided. 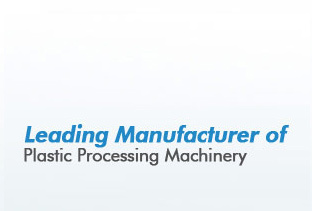 Synchronized drives of the extruder, feeder and haul off enables ease of operation. It is designed for high output at low screw speed and less power consumption. 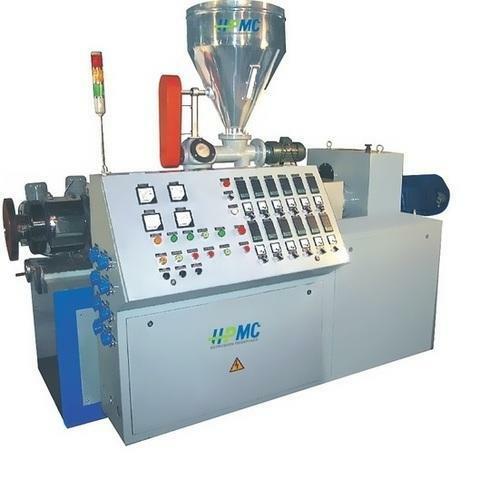 Haul-off is synchronized with extruder with the help of AC Frequency Variable Drive. Gap between two tracks and pressure is adjusted pneumatically. V-Groove rubber pads mounted on chain with proper tensioning to prevent ovality even for large diameter and thin wall pipe. Saw dust powder sucking device. Special hard alloy saw blade employed to cut heavy caliber thick wall pipes. Carborundum cutter for less wastage during cutting. All movement are equipped with pneumatic cylinders. Clamping force can be adjusted to accommodate different wall thickness. Limit switch is provided to sense particular length. Operated with pneumatic cylinder and limit switch for pipe stacking.